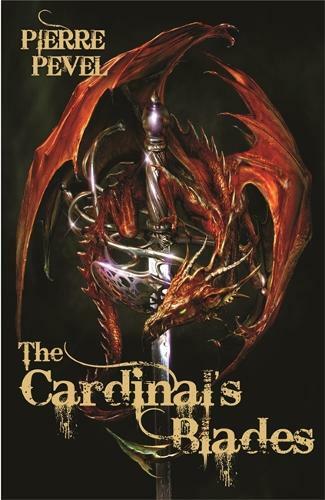 The Cardinal's Blades is part historical novel, part old-fashioned swashbuckling high-action adventure, and part classic fantasy. Pierre Pevel has woven some of the best-loved fantasy tropes - musketeer-style adventuring, daring swordsmen, political intrigue, non-stop action and dragons - into a stunning new fantasy series. Paris, 1633. Louis XIII reigns over France ... and Cardinal Richelieu governs the country. One of the most dangerous and most powerful men in Europe, Richelieu keeps a constant, sharp eye on the enemies of the Crown to avoid their assassination attempts, thwart their spies and avert their warmongering. But he's up against people who will stop at nothing to achieve their goals, even going so far as to forge alliances with France's oldest and deadliest enemies. Spain, and the Court of Dragons. The nobility keep tiny dragonnets as pets; royal couriers ride tame wyverns, and lethal man-shaped scaled dracs ropam the country. But the power rising from the Court of Dragons is anything but mundane; the Black Claw sect draws on dragons as they once were: ancient, terrible, utterly merciless ... and poised to move against France. "A fast-moving story, full of action, intrigue, and swashbuckling adventures." "[Pierre] Pevel...makes a stunning English-language debut with this breathless, swashbuckling tale of intrigue, spying, and swordfights... Pevel's adventure is...likely to charm Anglophone audiences who enjoy action-packed adventure with a true historical sensibility."